Now this is why I love summer. It’s the fruits, the veggies, and again, this salad. This salad loaded with perfectly arranged rows of toppings. 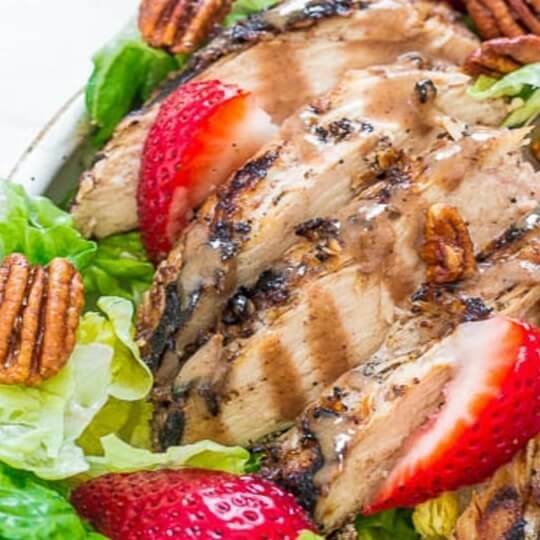 I can have this salad for days on end. 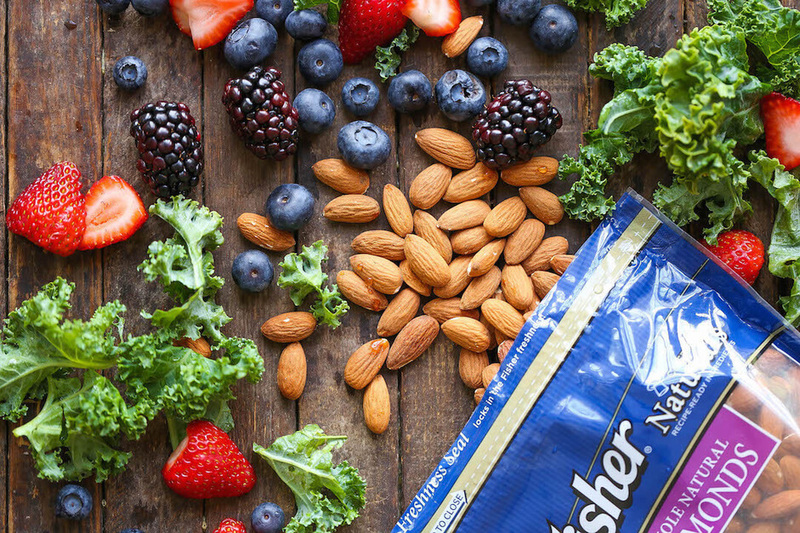 And you know I only use preservative-free Fisher® Nuts for my salads. Always. Get the full Kale Cobb Salad recipe. 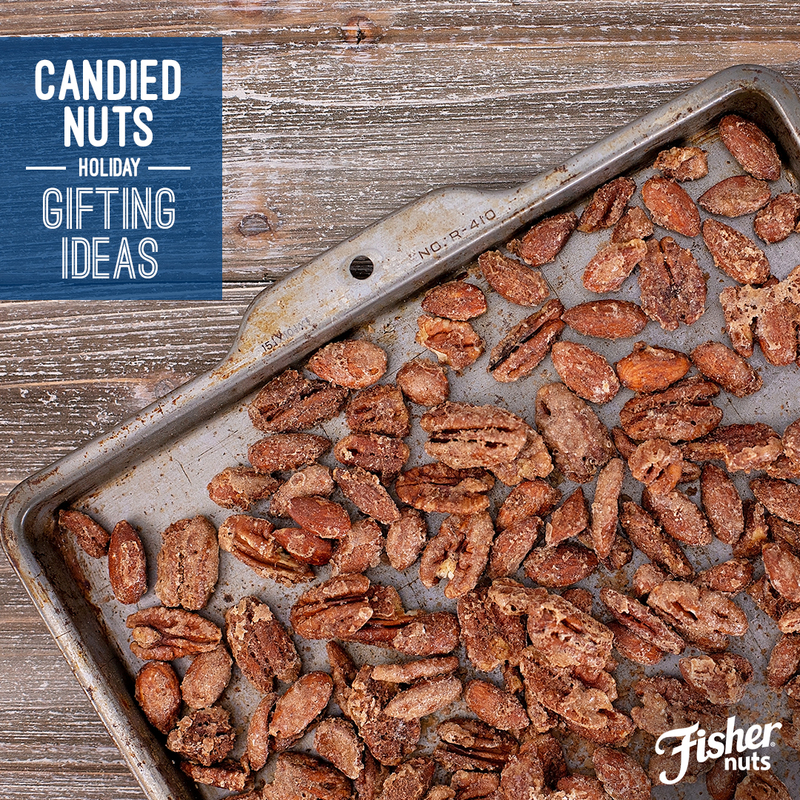 Give holiday gifts made with love in your kitchen. 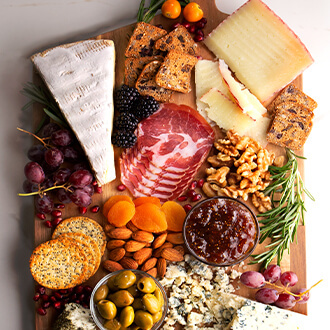 Wow your guests at the season’s holiday parties and dinners with our Ultimate Holiday Charcuterie Board. 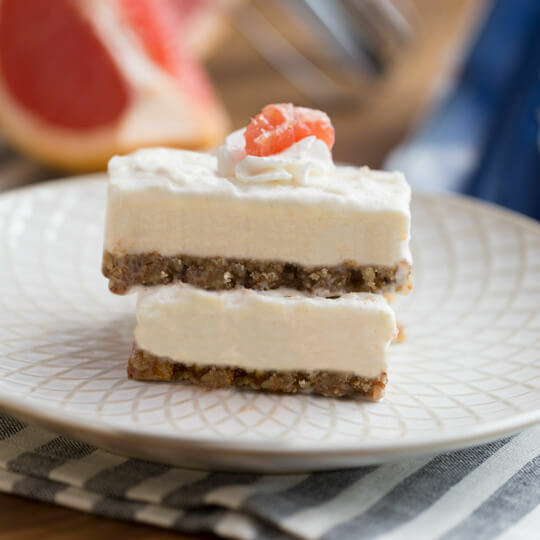 No-Bake Grapefruit Bars are a bright, citrusy twist on the classic lemon bar. 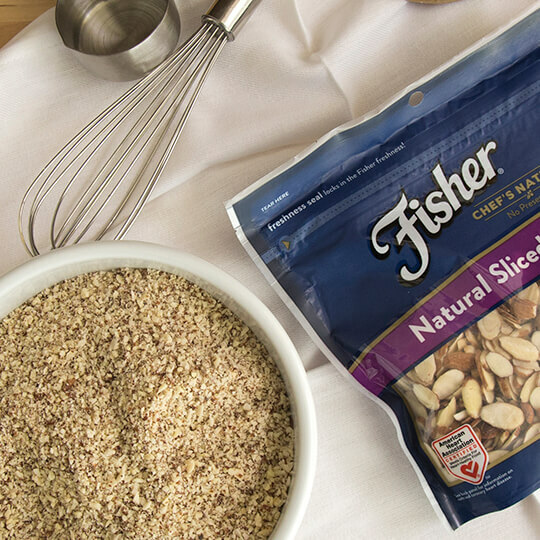 Switch things up on your next dessert by using a naturally gluten-free nut crust made with Fisher Pecans. 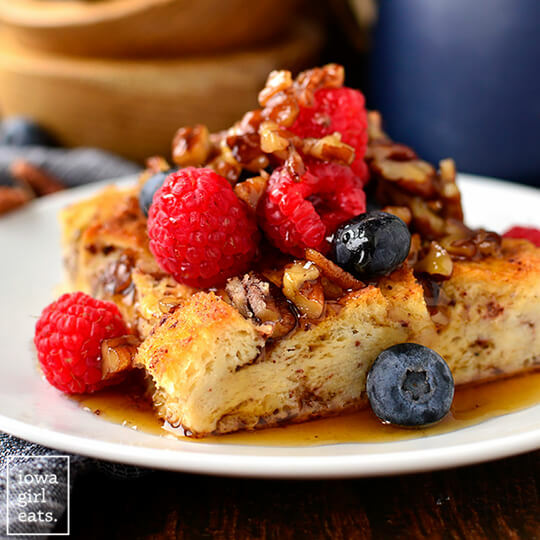 Gluten-Free French Toast Casserole with Butter-Pecan Maple Syrup, made with Fisher Nuts, can be a make-ahead dish that feeds a crowd. 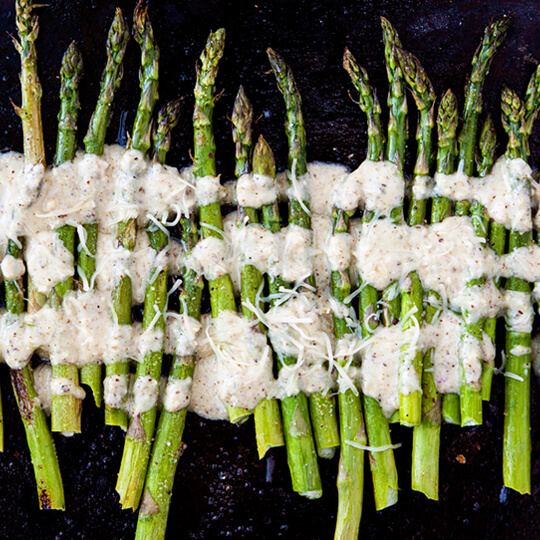 Roasted Asparagus is drizzled with a tasty lemon walnut dressing for simple, delicious and heart-healthy side dish. The perfect addition to your dinner table. 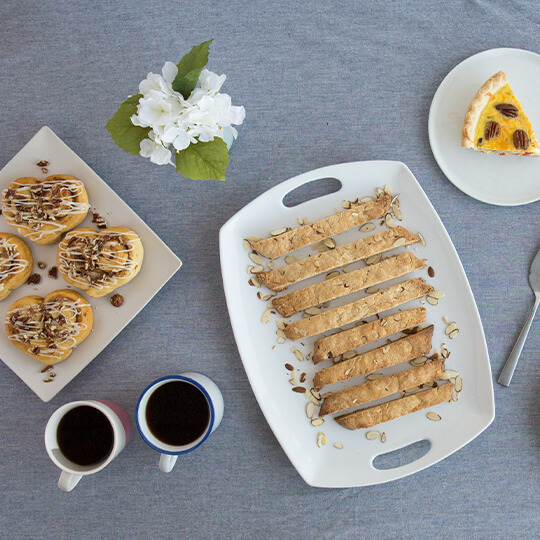 Ready in just 30 minutes, these incredibly easy Pie Roll-Ups will be your go-to dessert when you’re in a time crunch! 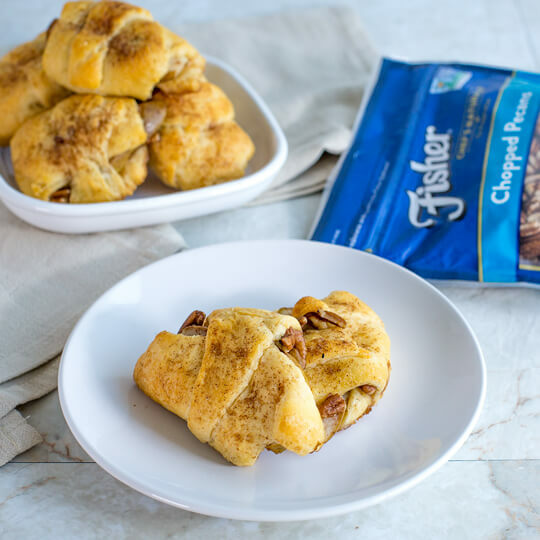 Made with fresh pear, cinnamon and Fisher® Pecans, these have all the fall flavors your family will love. Try switching it up with other fall fruits, like apples, or try serving with ice cream for a full dessert. 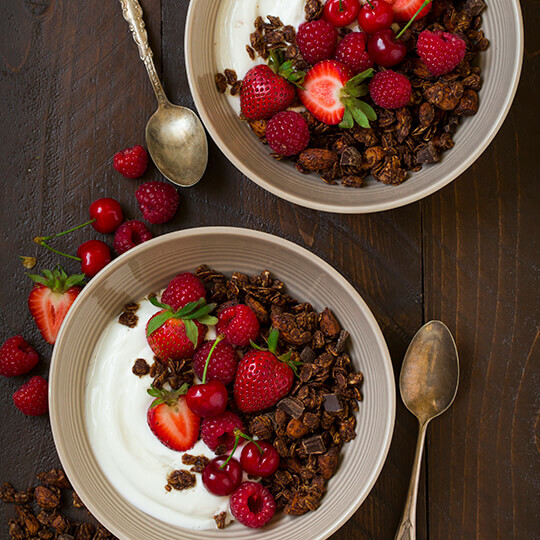 This Chocolate Almond Granola is full of nutritious ingredients. It’s so easy to make, it’s one of those recipes you’ll want to make again and again. 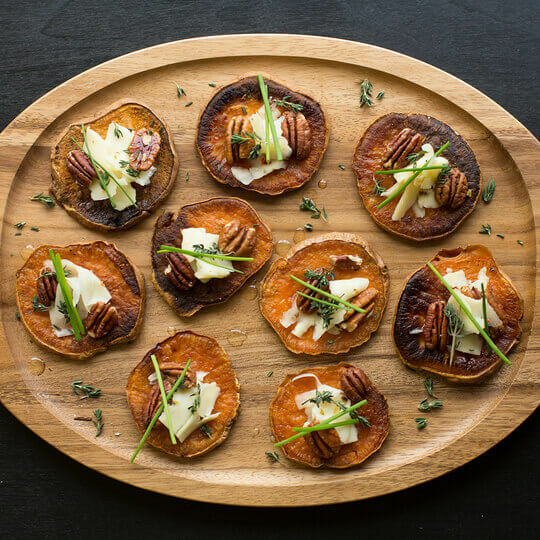 Perfect for the flavors of the fall season, our fresh twist on Sweet Potato Toast is done in three simple steps. 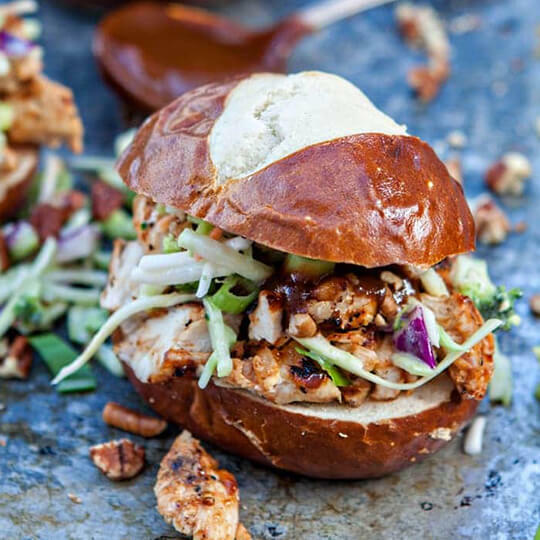 Honey Pecan BBQ Sauce Chicken Sliders features a slider bun piled high with chopped BBQ chicken, coleslaw and chopped pecans. 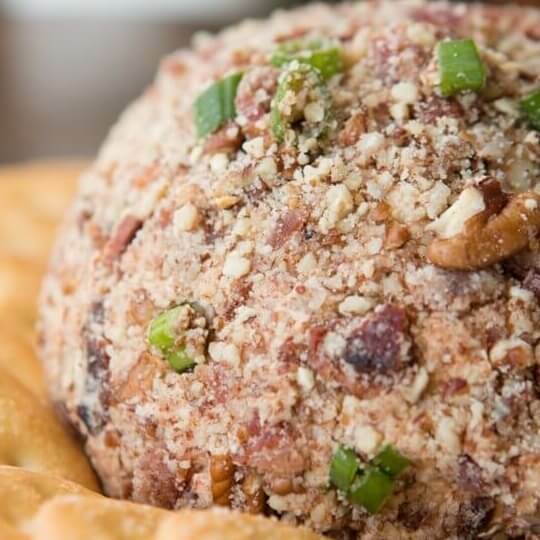 You’ll be everyone’s favorite when you show up at a party with this BBQ Bacon Cheese ball! 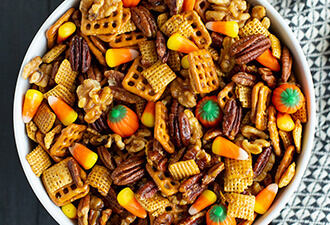 It’s easy to throw together, and simple flavors everyone likes. 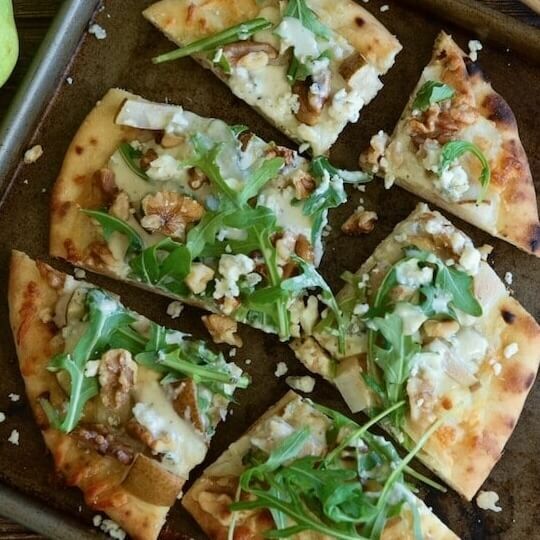 This Pear, Blue Cheese and Walnut Flatbread is easy and fast to whip up. It’s ready to eat in just 20 minutes — you can’t beat that. Why spend money on “mall nuts” when you can make them yourself? 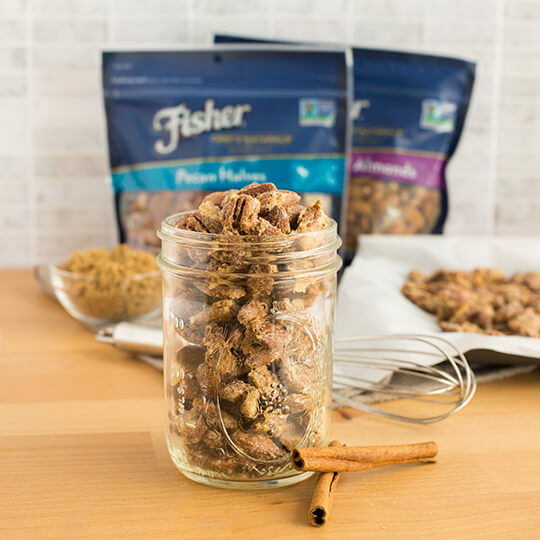 This fresh twist on mall nuts in the form of Fisher Almonds and Pecans coated in cinnamon sugar will have you salivating from the comfort of your home. 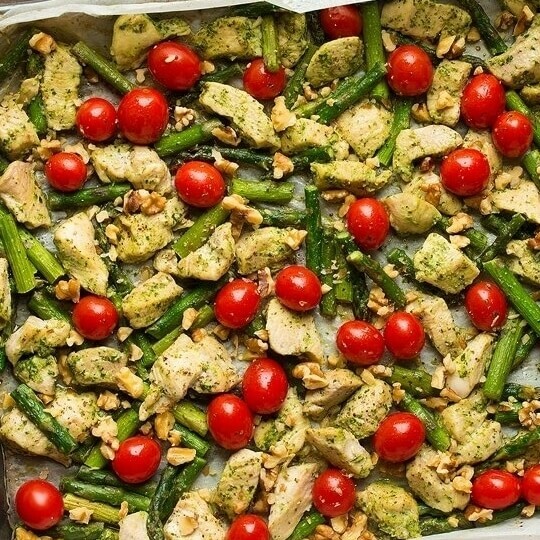 This Sheet Pan Pesto Chicken with Asparagus, Tomatoes and Walnuts is a simple meal that’s brimming with flavor – because duh it’s packed with fresh pesto! 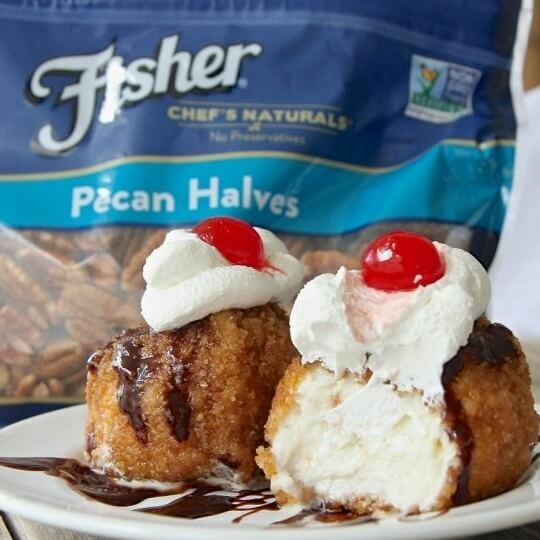 Fried ice cream made easy with a crunchy coating made from vanilla wafers, cornflakes, pecans and cinnamon sugar. This easy and healthy yet satisfying salad is perfect for easy-breezy summer dinners or casual entertaining. 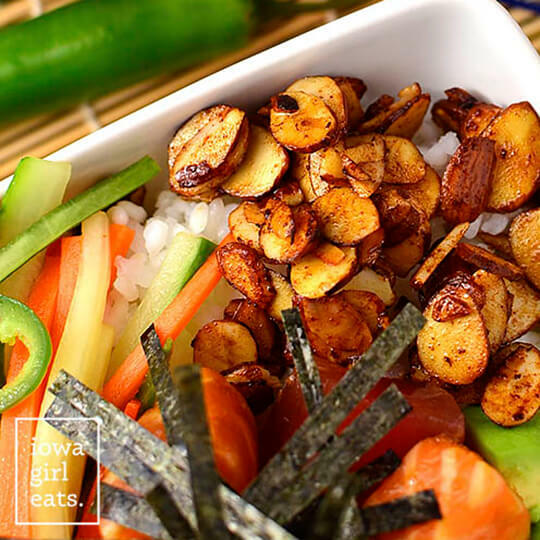 Get a taste of Hawaii at home with Poke Bowls with Sesame-Soy Almonds, using Natural Sliced Almonds. 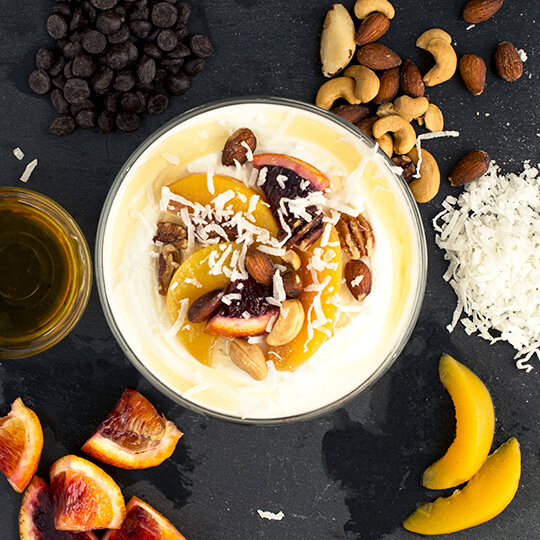 Whether you’re entertaining or on the go, jazz up your ordinary yogurt bowl with one of these three unexpected topping combinations. Why buy pre-made almond meal when you can make it at home? 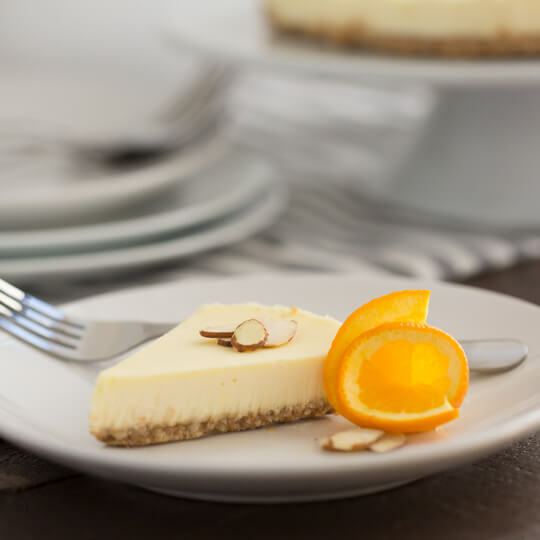 Substitute this easy almond meal recipe for the chopped almonds in any of these recipes for a fresh twist on already delicious eats. Our resident chef, Alex Guarnaschelli, shares just how easy it is to make your own homemade pesto. We know what you’re thinking. 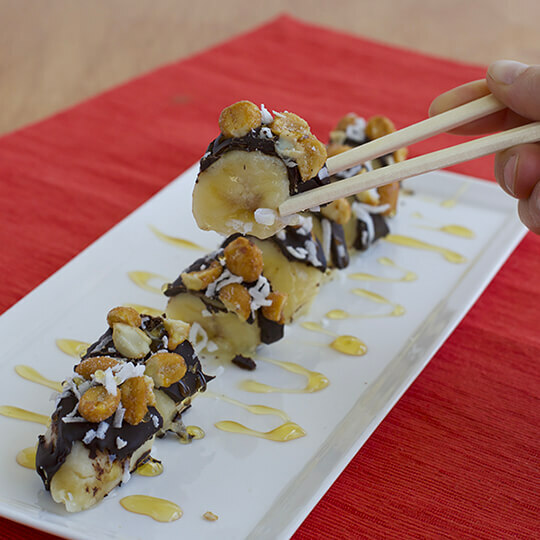 Nuts and sushi? But seriously—there’s nothing fishy about it. Tired of looking for your next meal? 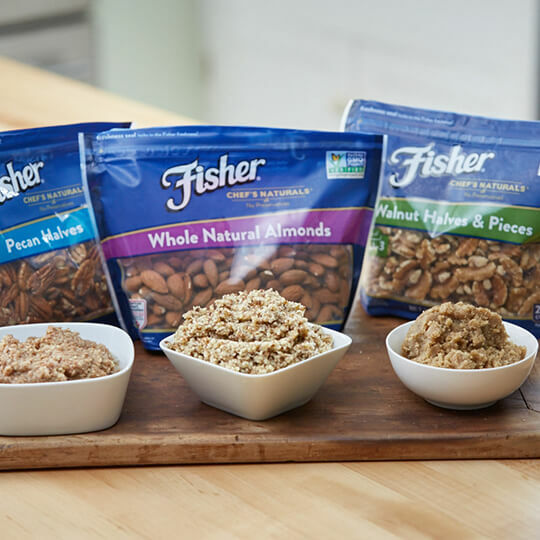 Learn from our Chef Alex and her unique take on recipes featuring Fisher Nuts.